One of the easiest ways to save energy in your home is to install an occupancy /vacancy sensor. Occupancy/vacancy sensors automatically turn lights on when you enter a room and off when you leave. A vacancy-only sensor also turns lights off when you leave a room—but you need to manually turn the lights on when you walk into a room. Either sensor ensures lights are never accidentally left on, while adding extra convenience to your life. 1. 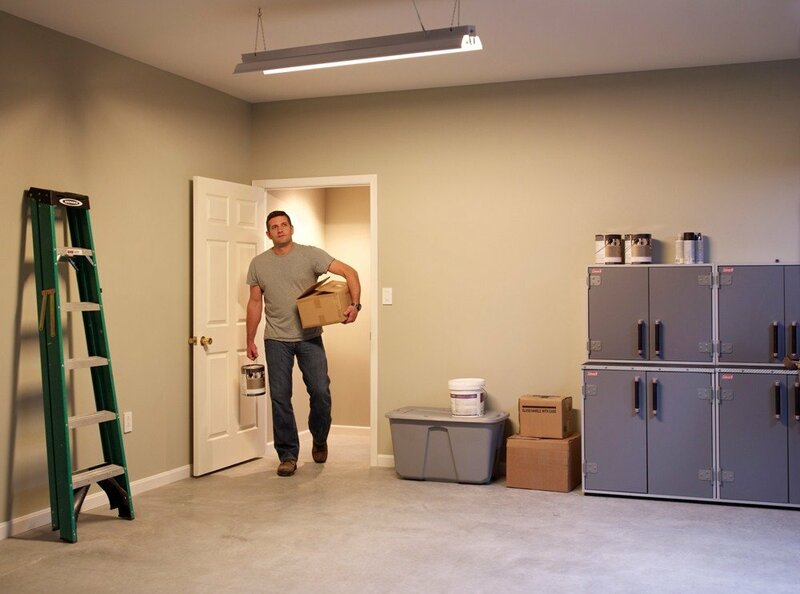 Install an occupancy sensor in your laundry room or basement and you can safely light your way when your hands are full instead of fumbling for the light switch. An occupancy sensor in your kitchen provides added convenience when you come home after a busy day and don't have a free hand to turn on the lights. Save energy by adding a vacancy sensor to your bathroom to ensure that you won’t inadvertently leave the lights on after you leave the room. A vacancy sensor in your child’s bedroom means you can stop reminding him to turn off his lights. Lutron® offers Maestro® occupancy/vacancy and vacancy-only sensor switches. These sensors feature ambient light detection, so lights only turn on when needed. The dimmers work with incandescent/halogen lights; the switch works with all load types, including incandescent/halogen, compact fluorescent, LED, magnetic low voltage, and electronic low voltage. Saving energy is a lot easier when you don’t have to invest a lot of time or effort. Visit our website to learn more about the benefits of Lutron occupancy/vacancy sensors and view installation videos.